08/27/2017 Update: Gullatt surrendered Sunday, 08/26/2017, in Toledo Ohio. Arrangements to extradite Gullatt to Franklin are underway. Two of the three suspects in last week’s violent carjacking have been arrested. The search for the final remaining suspect is still underway. 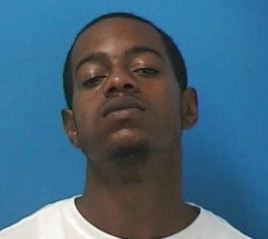 Detectives are searching for Dejon Gullat, wanted for Aggravated Robbery. Gullat should be considered armed and dangerous. A cash reward is being offered for information leading to his capture. The victim reported sitting in the front seat of her vehicle, at 2:30 last Thursday morning, on Cherokee Place when a group of men pulled her from her vehicle, physically assaulted her, and then stole her car. At least one of the suspects was armed with a handgun. The stolen car has since been recovered. Barry Harris, a convicted felon with a violent history, was arrested Thursday and charged with Aggravated Robbery. He remains jailed on the $50,000 bond set by the Magistrate. Dewayne Harris, a convicted felon with a violent history, who was out on parole was arrested this morning. Charged with Aggravated Robbery and Violation of Parole, Dewayne Harris is being held on the $150,000 bond set by the magistrate. Both of these suspects are due in court August 10 at 1:oo pm.